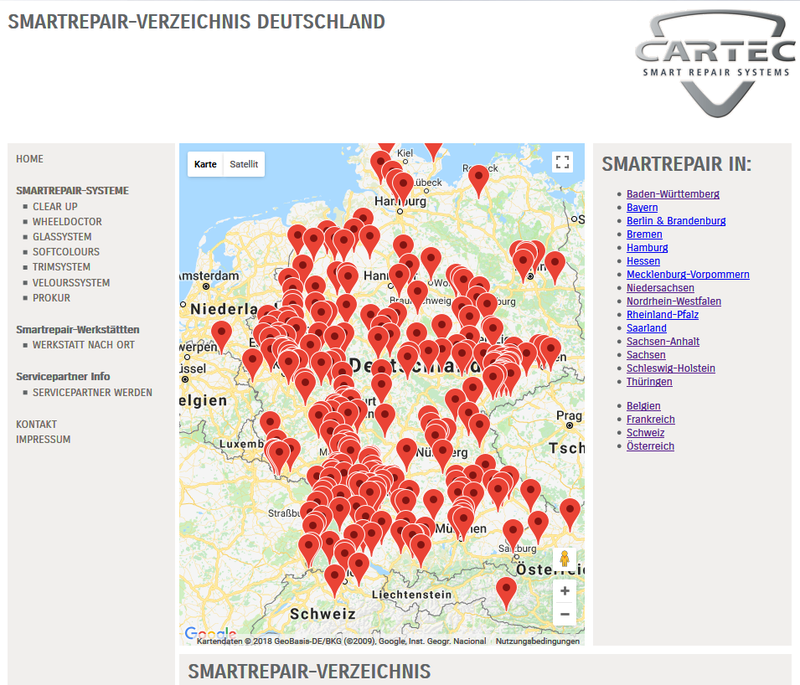 CARTEC is one of the pioneers in the field of professional alloy wheel refurbishment and is market and technology leader in this sector today. 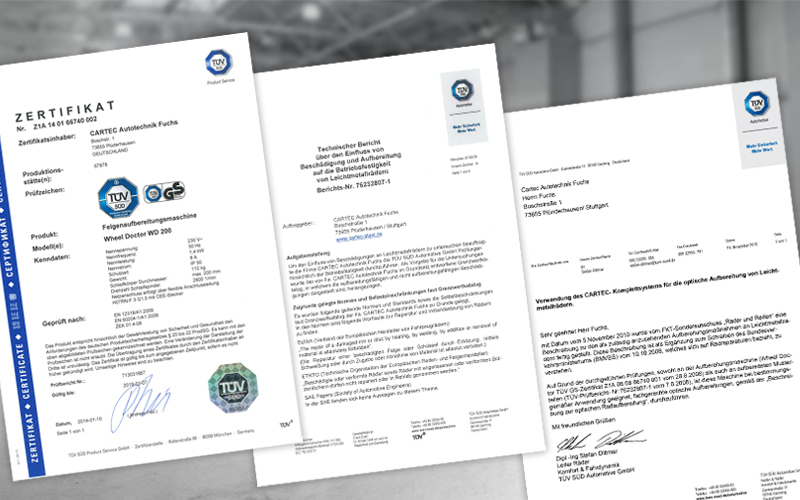 More than 600 companies trust their 20 years of expertise and rely on the TÜV-certified (a technical inspection association) WheelDoctor and the potential to generate more sales revenues by eliminating the damages. Because alloy wheel refurbishment using the special machine developed and produced by CARTEC is a cheaper and safer alternative to the expensive option of buying new wheels – and for the WheelDoctor specialist companies it is a worthwhile investment in a lucrative market. Whether it's a case of lease returns or wheel storage in the used car business or just normal tyre changes.